We can not take for granted the air we are breathing. Taking steps to create healthy and safe air especially indoors is important. In fact, indoor air can be 5x more polluted than outdoors, which can affect allergies, asthma, our ability to concentrate, the quality of our sleep, and more. Unhealthy air can cause a wide range of health problems. Don’t worry! A few small changes can improve your air quality. 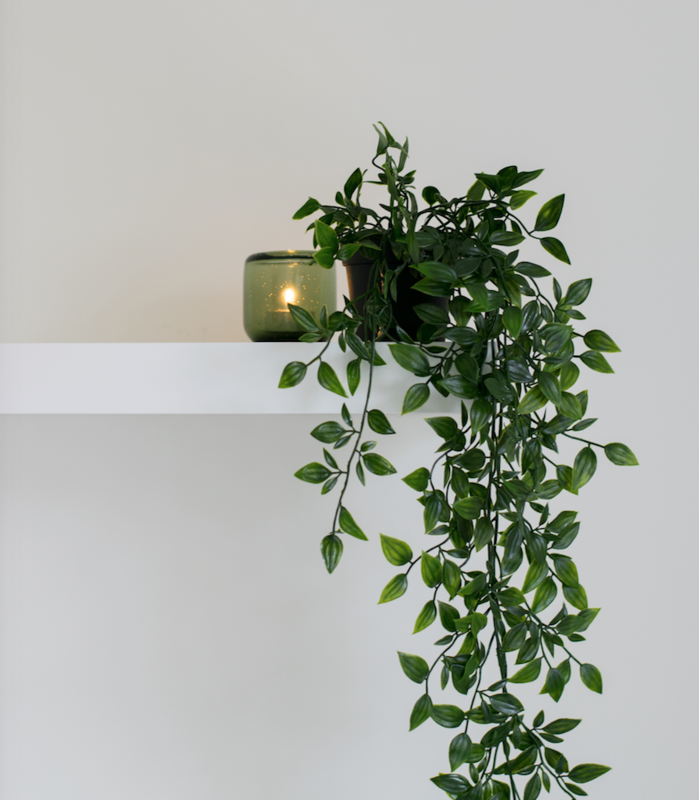 Adding some beautiful house plants and burning a beeswax candle will go a long way in eliminating dust and chemicals. There are a lot of airborne chemicals present from our use of commercial cleaning products and detergents. These VOC’s, ( volatile organic compounds) describe any organic chemical that evaporates easily at room temperature. You’ll find VOCs in the ingredients list of paint, cleaning supplies, common household products, adhesives–even cribs and other furniture.Once these chemicals are released in your air, they can easily travel into your lungs and, eventually, blood stream.Short-term side effects of VOCs include headaches as well as itchy eyes, nose, throat, and skin. Too much exposure to VOCs has also been linked to eczema flare-ups, acne breakouts, hives, allergies, asthma attacks, and cancer.You can limit the amount of VOCs in the air in your home with plenty of fresh air–try to run fans and open windows during activities such as cooking, cleaning, and painting. You can also place a few air cleaning plants around your home, which will help pull extra toxins from your air.Dust is also a big contributor to unhealthy air. . One piece of dust contains an assortment of unpleasant items, like dead skin, mold spores, pieces of dead insects, and pet dander. Dust can cause itchiness, asthma, eczema, and hay fever. Exposure to dust mites has also been linked to conjunctivitis, hypersensitive pneumonia, and both allergic and migraine headaches. Your house can have dust mites even if it isn’t very dirty.Regulating your temperature and humidity can also help prevent dust mites from spreading throughout your house. Dust mites love dark, moist places, with temperatures of 70℉ or higher and humidity over 75%. Use a damp clothe and vacuum once a week and make sure you have plenty of air circulation.Carbon Dioxide is by no means a toxic gas but it is very important to keep it in balance. CO2 very natural ingredient in the air we breathe. . While we may not notice carbon dioxide in our air the same way we would for other gases, if there’s an above-average amount of carbon dioxide in the air you’re breathing, you’ll begin to notice some side effects, including decreased productivity, headaches, difficulty making decisions, drowsiness, and difficulty sleeping.Lowering the levels of CO2 in your house by letting some air in. Open windows, sleep with your door open, and once again filter the air naturally with indoor house plants that assist in keeping carbon dioxide balance.Temperature and Humidity are also important factors in personal health and not just in keeping dust mites in check. By keeping the relative humidity of the air around you between 20% and 60% you improve your air quality. If your indoor humidity climbs above 60%, you begin to risk mold and mildew growth in your home. On the other hand, if your indoor humidity is below 20%, you’ll start to experience eye, nose, skin, and throat irritation. If you wear contact lenses, they can become irritated when the humidity is too low.Temperature like humidity affects you in more ways than you realize. Studies show that significant changes in temperature can cause you to become less productive and have trouble completing physical and mental tasks as well as have a negative impact your quality of sleep.These two temperature ranges, Summer: 73℉ – 79℉/Winter: 68℉ – 76℉ are best for comfort and productivity. For peak productivity studies indicate that humans perform best at temperatures between 70℉ and 72℉.If you need help taking the guesswork out of keeping your air clean try an indoor air quality monitor, like Awair. Awair tracks toxins and chemicals in your air and gives you personalized recommendations to help you stay safe and healthy. Photo by Jessica Arends@mydeailydestinations.